The tunnel sinking Seattle, and other holiday tales (Taxes, trash also roil the local landscape), NewToSeattle.com, December 25, 2014. How to be offside without touching the ball (Video of Manchester United-Stoke City match shows clear example), Offside-A-Mystery.com, December 15, 2014. Fourth candidate in Seattle for ‘America’s Stupidest Charities’ (The Center for American Homeless Veterans, doing business as the Association for Homeless and Disabled Veterans, joins the race), NewToSeattle.com, December 12, 2014. Another iffy veterans group trolls in Seattle (Paid fundraisers kept almost all money donated to The Center for Homeless American Veterans, doing business as Association for Homeless and Disabled Veterans), NewToSeattle.com, December 10, 2014. The 50 Largest U.S. Charities (United Way, Salvation Army and Feeding America lead the pack), with Slide Show and How To Evaluate A Charity, Forbes.com, December 10, 2014. Are Seattle protests a good time–or biding time? (Light actions may mask deeper tensions), NewToSeattle.com, December 5, 2014. Southern California bad weather: So what else is new? (Myth of idyllic climate goes back a long time), Offside-A-Mystery.com, December 3, 2014. Falling soccer goals remain a big problem for youths (New York State enacts a law authorizing mandatory safety standards), Offside-A-Mystery.com, December 1, 2014. Marshawn Lynch charity spent little on claimed mission (Seattle Seahawks star’s Fam 1st Family Foundation spent less than one-quarter of $200,000 generated), NewToSeattle.com, November 24, 2014. Arguments over soccer ball color are worldwide (Laws of the Game don’t prescribe hue, leading to complaints by coaches), Offside-A-Mystery.com, November 19, 2014. Fake no-parking markings fester across Seattle (Call it another variation on the city’s theme of poor signage), NewToSeattle.com, November 18. 2014. Don’t call Seattle police unless there’s blood (Crimes against property are a low priority), NewToSeattle.com, November 13, 2014. ‘Why Americans don’t like soccer’–not! 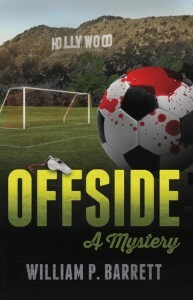 (The sport actually has a huge following on the amateur level–thanks to a certain disgraced politician), Offside-A-Mystery.com, November 12, 2014. Dodd-Frank, Plus Four (No relief in the uncertainty and aggravation for manufacturing and metals), Forward (journal of the Metals Service Center Institute), November 2014. Set far from Seattle, ‘OFFSIDE: A Mystery,’ my debut novel, is about soccer parents, rich California and a dead referee (Book is now available on Amazon/Kindle/Barnes & Noble/Nook and iBooks), NewToSeattle.com, November 2, 2014. Seattle has Mickey Mouse elections–really (Officials ask voters not to write in fictional names while a disbarred lawyer is running for the state Supreme Court), NewToSeattle.com, October 22, 2014. Seattle ducks racial blame again by nixing Columbus Day (City that ousted Indians changes holiday to Indigenous Peoples’ Day), NewToSeattle.com, October 10, 2014. Another iffy police outfit calls around Seattle (Washington State Law Enforcement Association spends less than 4% of budget on stated mission), NewToSeattle.com, October 7, 2014. New Seattle pot store misspells cannabis (Sign is eventually fixed on opening day), NewToSeattle.com, October 3, 2014. Richest people in Seattle get a lot richer (Net worth of nine local Forbes 400 members rises by $18.75 billion), NewToSeattle.com, September 29, 2014. Around Seattle, affiliate of Miss America gilds lily, too (Miss Washington Scholarship Organization also spends little on school aid), NewToSeattle.com, September 26, 2014. In Seattle, Comcast track record hurts merger bid (Poor service, high prices are poor reasons for $45 billion takeover of Time Warner Cable), NewToSeattle.com, September 25, 2014. Will Seattle voters raise the nation’s highest big-city sales tax? (Officials ask for increase to 9.6%), NewToSeattle.com, September 19, 2014. In liberal Seattle, double standard on big political donations (Little outrage over large contributions to lefty causes), NewToSeattle.com, September 11, 2014. Seattle makes another ‘most snobbiest cities’ list (Movoto finds only the Other Washington and San Francisco more uppity), NewToSeattle.com, September 8, 2014. Seattle toll system should have received an F (Fancy computers misread letter on license plate), NewToSeattle.com, August 31, 2014. Seattle drivers among worst of worst (Allstate ranks them in bottom seventh of big cities), NewToSeattle.com, August 28, 2014. Rutgers is coming to Seattle, but not as oldest college football team (Famous ‘first’ match in 1869 against Princeton was really soccer), NewToSeattle.com, August 22, 2014. Good To Go system in Seattle takes its toll (Bridge charges me for trip taken by someone else), NewToSeattle.com, August 21, 2014. IRS scammer makes threatening call to Seattle (Arrest promised unless “back-tax” payment was made on the spot), NewToSeattle.com, August 14, 2014. Key gap at drivers license office near Seattle (Worker goes on vacation with only access to computer system), NewToSeattle.com, August 11, 2014. Mosquitoes largely absent in Seattle (Cool weather, lack of summer rain keep down the critter count), NewToSeattle.com, August 8, 2014. Fancy Queen Anne area leads Seattle in dog attacks on letter-carriers (Canines of genteel neighborhood displace West Seattle as worst for postal workers), NewToSeattle.com, August 1, 2014. New USPS Seattle dog attack reports show no exaggeration (Documents show local PO accurately accounted incidents in city), NewToSeattle.com, July 31, 2014. New trailer for Seattle-set ‘Fifty Shads of Grey’ shows strange geography (Office of billionaire tycoon depicted as located in working-class West Seattle), NewToSeattle.com, July 24, 2014. Yep, USPS still exaggerates Seattle dog attacks (Post Office includes in count incidents occurring outside the city), NewToSeattle.com, July 14. 2014. Could Seattle’s depiction as Fun City go up in smoke? (Beware the Law of Unintended Consequences), NewToSeattle.com, July 11, 2014. A Seattle roof gathers woe moss (Clearing house tops of green stuff is a significant industry), NewToSeattle.com, July 3, 2014. The New Gold Rush (The world’s mad scramble for rare earth minerals), Forward (journal of the Metals Service Center Institute), July/August 2014. ‘Seattle Freeze’ is now an accepted fact in Seattle (Assertion appears at the top of the front page of The Seattle Times), NewToSeattle.com, June 20, 2014. Delta CEO snookers Seattle with old planes that don’t work well (Wi-Fi failure blocks passengers from seeing dramatic U.S.-Ghana soccer finale), NewToSeattle.com, June 17, 2014. Seattle embraces high tech—except for the Internet (Online outages belie city’s image), NewToSeattle.com, June 10, 2014. Liberal Seattle tolerates guns (Outrage over college shooting incident may not change anything), NewToSeattle.com, June 6, 2014. Seattle’s $15-an-hour minimum wage captures wide fancy (Media far and wide cover the story), NewToSeattle.com, June 5, 2014. Repeat nomination in Seattle for ‘America’s Stupidest Charities’ (Breast Cancer Research and Support Fund, part of Community Charity Advancement, again pitches a known critic), NewToSeattle.com, May 27, 2014. Are Seattle pedestrians really that safe? (New study says metro area is third least dangerous for those on foot), NewToSeattle.com, May 26, 2014. Bad public signage continues to plague Seattle (Problems include unmarked forks, missing markers and cryptic symbols), NewToSeattle.com, May 19, 2014. Is the USPS still exaggerating in new Seattle dog bite count? (The feds certainly did last year), NewToSeattle.com, May 14, 2014. Seattle liberals choose pocketbook in rideshare debate (They force a public vote on rules to limit unregulated—and cheaper—car services), NewToSeattle.com, May 12. 2014. Government agencies in Seattle yuk it up on social media (Official blogs and tweets are sources of mirth), NewToSeattle.com, May 7, 2014. In L.A., a total stranger asks about the Seattle suicide rate (What does that say about the city’s image? ), NewToSeattle.com, May 4, 2014. For Indian charity soliciting around Seattle, the rest of the story (Scandal-plagued parent of Southwest Indian Relief Council spent more on fundraising and direct mail than good works), NewToSeattle.com, April 22, 2014. Charity telemarketer plaguing Seattle files for bankruptcy (Associated Community Services kept most of money raised, but problems still arose), NewToSeattle.com, April 10, 2014. Seattle quietly becomes clear No. 1 in big-city sales tax (Pending vote could hike up the rate even more), NewToSeattle.com, April 5, 2014. Seattle’s love-hate relationship with rain (Image-makers try to downplay amount of precipitation), NewToSeattle.com, March 31, 2014. Best 25 Suburbs For Retirement In 2014 (Top places offer value, low crime within 35 miles of big city), with SLIDE SHOW, Forbes.com, March 27, 2014. Seattle is no stranger to landslides, either (Since 1890, more than 1,500 have occurred within the city limits), NewToSeattle.com, March 27, 2014. Seattle’s newest tourist attraction—which can’t be seen (World’s largest tunneling machine will be stuck underground until at least September), NewToSeattle.com, March 18, 2014. Seattle’s incredibly shrinking jaywalking tickets (If “official” records are to be believed, pedestrian infractions have dropped nearly 90% in two years), NewToSeattle.com, March 14, 2014. Seattle cops don’t know how many jaywalking tickets they write (After run-around, police department says it doesn’t the count ), NewToSeattle.com, March 4, 2014. Defense Budget Bumbling (The biggest impact of the much-hyped cuts may be the aggravating uncertainty) Forward (Journal of the Metals Service Center Institute), March/April 2014. Usual suspects around Seattle unusually rich, as usual (Same 10 grace new Forbes list of the world’s richest), NewToSeattle.com, March 3, 2014. Fresh proof of ’Seattle Freeze’ and ‘Seattle Nice’ (Civic report and Seahawks fan conduct reinforce local personality traits), NewToSeattle.com, February 26, 2014. The most prescient billboard in Seattle (Eddie Bauer’s “EDDIE.SET.GO” sign on display as area company announces its sale to a Maryland company), NewToSeattle.com, February 15, 2014. Great Places To Follow Your Passions In Retirement (List highlights 25 locations for the arts, outdoor activities, fine dining and volunteering), with SLIDE SHOW, Forbes.com, February 12, 2014. Third candidate in Seattle for ‘America’s Stupidest Charities (Community Charity Advancement, doing business as Breast Cancer Support and Research Fund, seeks a donation from critic who wrote it spent zip on good works), NewToSeattle.com, February 12. 2014. New ‘View of the World from 9th Avenue’ would include Seattle (City wasn’t on famous 1976 New Yorker cover), NewToSeattle.com, February 6, 2014. Second candidate in Seattle for ‘America’s Stupidest Charities’ (Cancer Support Services asks for donation from a known critic), NewToSeattle.com, January 30, 2014. 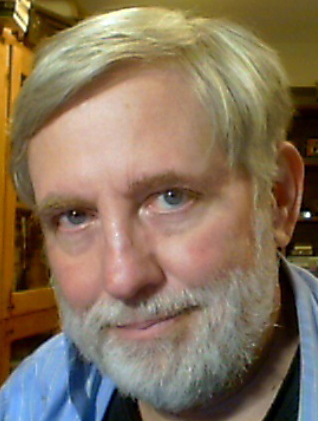 First candidate in Seattle for ‘America’s Stupidest Charities’ (National Vietnam Veterans Foundation d/b/a American Veterans Support Foundation makes another pitch to writer of withering write-up), NewToSeattle.com, January 29, 2014. With Seattle versus Denver, call it the Stupor Bowl (And other names for the epic contest between the centers of legal pot), NewToSeattle.com, January 20, 2014. Another sketchy charity trolls for cash in Seattle (National Vietnam Veterans Foundation d/b/a American Veterans Support Foundation spends very little of donations on good works), NewToSeattle.com, January 18, 2014. The Best Places To Retire in 2014 (Forbes picks 25 top U.S. communities for retirement value, ranging from Sunbelt Mecca Cape Coral, Fla. to chilly Fargo, N.D.), with SLIDE SHOW, Forbes.com, January 16, 2014. Fresh attention to a Seattle inferiority complex (Seattle Times gives big play to collective personality quirk), NewToSeattle.com, January 16, 2014. Seattle is world-class in many ways—including problems (Flawed floating bridge, stuck tunnel machine lead list of municipal woes), NewToSeattle.com, January 10, 2014. If the Seattle minimum wage is so low, why are costs so high? (Tax structure may have something to do with that), NewToSeattle.com, January 5, 2014.